are associations and other constituted organizations of manufacturers of textiles. There can be only one Member Association from each country. are associations and other constituted organizations of manufacturers of textiles in countries where there is already a Member Association; and associations allied to the textile industry. are companies that are active in the area of textile manufacturing, growing and manufacturing of fibres, trading of fibres, manufacturing of textile machinery and chemical products, as well as consulting, engine- ering and exhibiting in the textile industry. Members will receive automatically all newsletters/publications/reports/circular letters, etc. There are various Committees that representatives of members can participate in (Spinners Committee, Joint Cotton Committee, Fibers & Applications Committee, Home Textiles Producers Committee, etc.). 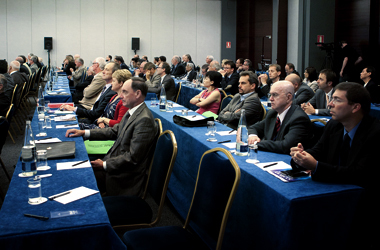 The ITMF Annual Conference is a unique forum exclusively for ITMF members. Once a year they can meet for the exchange of information and for discussions both in and outside the conference room. It offers an array of presentations covering the entire textile value chain from fibers to retail as well as an ideal platform for networking. More information about the next ITMF Annual Conference and previous ones can be found on the ITMF website. 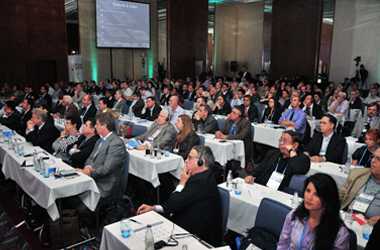 ITMF is a body that is representing the global textile industry both as a spokesperson for the world textile industry (e.g. in matters relating to raw materials like cotton and man-made fibers or vis-à-vis brands/retailers) and functions as a liaison agent between the textile industries and governments or intergovernmental organizations interested in the textile industry. 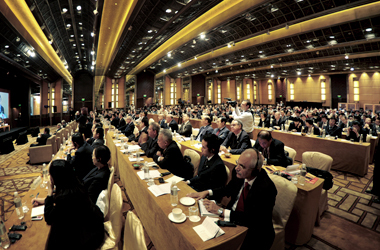 Given the fact that members from ITMF are from industries along the entire textile supply chain – fiber, textile machinery, chemical and of course, from the textile and apparel industry – provides the unique possibility of building and strengthening a personal international network with representatives from the entire textile supply chain from around the world. and use our application form.